In 2003 Elefsis delivered the largest ship of the Hellenic Navy, Promitheus. Under construction are a series of five FAC (Fast Attack Craft) of Vosper Thornycroft design. These 62 meter ships carry the latest generation Exocet missiles and are considered the most modern front line units of the H.N. Hellenic Shipyards S.A. is the largest shipyard in the area of the eastern Mediterranean. It stands worldwide for its outstanding experience in building and repairing naval and commercial ships. Founded over fifty years ago, Hellenic Shipyards S.A. is now part of the TKMS Group, and has moved into the high technology end of the business with the construction of the most advanced conventional submarines in the world. In co-operation with Blohm + Voss - one of the worlds leading naval shipbuilders - Hellenic Shipyards built and successfully delivered in the period from 1996 to 1998, 3 Frigates to the Hellenic Navy. These advanced vessels incorporated state-of-the-art equipment and electronic and weapons systems with variable payload standardized modules. In compliance with the specific needs of the Hellenic Navy, the Hydra Class Frigates have been equipped with a helicopter incl. Hangar as well as with the respective sensors and weapons for an effective defense of air, surface and underwater targets. In co-operation with CMN, Hellenic Shipyards built and successfully delivered until 1981, 6 Fast Attack Crafts for the Hellenic Navy. HSY has developed the design for a fast patrol boat according to the specific needs of the Hellenic Navy (Pyrpolitis Class) and successfully delivered in 1993/94, 2 Fast Patrol Boats. Having further improved the HSY design in order to comply with the rules of Germanischer Lloyd and also to implement a new combat suite, in 1999 the Hellenic Navy awarded the building of another 4 Gunboats (Machitis Class) to Hellenic Shipyards. These four boats have also been successfully delivered, to the full satisfaction of the Hellenic Navy. In co-operation with Israel Shipyards, HSY has built and successfully delivered in 2004 one of three OPV for the Hellenic Coast Guard. In 2003 Hellenic Shipyards in co-operation with Thales Netherlands was awarded the status of prime contractor for the Midlife Modernization of 6 S-Class Frigates of the Hellenic Navy. The program is in progress at HSY and will be completed in 2009.  Replacement of propulsion control system and of defined platform systems. In February 2000 HSY undertook as Prime Contractor the procurement of four (4) class 214 Submarines. This is the most advanced conventional submarine in the world and the Greek State was the first in the world to order it. The contract award provided for the building of the first submarine at HDWs Kiel yard and for the building of the other three (3) submarines in Greece at HSY premises. Submarine construction at HSY started in 2002-following the investments for the creation of the necessary infrastructure- while the first Kiel-built submarine, named PAPANIKOLIS was launched in Kiel, Germany on April 2004. Further to the class 214 Program, in 2002, HSY was also awarded by HMOD the contract for the Mid Life Modernization and repair of three (3) type 209 HN Submarines (Neptune II Program).  Increased diving depth and overall performance efficiency, through specially built hull and advanced weapons systems.  Minimized acoustic, thermal and magnetic signatures. In the HSY Steel Assembly Hall shipbuilding works on the Pressure Hull Sections are performed for the three (3) Class 214 Submarines, under construction for the Hellenic Navy. In the HSY Submarine Outfitting Hall, work is in progress on the platforms and on the Pressure Hull Sections. After the completion of the outfitting of the individual Sections, these will be joined together. This outsourcing, within the framework of the off-sets agreement, furthers the effort to spread in the Greek business community the benefits from the transfer of technology and contributes both to the maintenance of existing and to the creation of new jobs. The contract will be completed in the year 2010 and more than 650 highly qualified personnel are being employed.  8 full-size swim-out tubes in the bulkhead for all types of torpedoes (4 tubes equipped with a weapon expulsion system for missiles). The most significant of the upgrades to be performed on the three (3) Type 209 HN Submarines, entails the installation of the new and modern Fuel Cell Section. Repair works on the first of the three (3) type 209 Hellenic Navy Submarines to be modernized started in November 2004. Toshiba cylindrical batteries, exclusive sale and distribution in Greece since 1984 and in all of Europe since 2000. SUNLIGHT cylindrical batteries, manufactured at our industrial complex in Xanthi. The full range of Toshiba and SUNLIGHT flash-lights. SIM card mobile phones and connection packs of the companies TIM, Cosmote and Vodafone. Prepaid mobile phone cards of TIM, Cosmote,Vodafone and Q-Phone. Prepaid phone cards for fixed telephony and Internet access from OTE and alternative providers. SSMART & SIGNAAL HELLAS are a dynamic, flexible and highly specialised team of people which provide complete software and hardware solutions and support services for the Armed Forces as well as the broader public and private sectors. The companies are fully supported by the internationally recognised global market leaders Thales Nederland B.V. and Imtech Marine & Offshore providing products and services of an exceptionally high standard in a dynamic team environment with state of the art technology and processes. The companies are members of the Association of Hellenic Manufacturers of Defence Materials (SEKPY). The modern Hellenic Foundries GMC (in Xanthi) and its subsidiary industrial plants, BMTE (Volos), Volos Cast-Steel and Piraeus Cast-Steel are developing business activities in the field of the casting high grades of steel and cast iron, in an infinite range of compositions and applications. METKA began its activity in the Defence sector by undertaking the fabrication of the hull of the armored vehicle "LEONIDAS" in 1995. The Defence sector became a strategic choice after the Company's management was taken over by the Mytilineos Group. METKAs Industrial activity was largely based on the significant machine equipment of METKAs two (2) plants, as well as the advanced know-how of the existing workforce. At the same time, new machinery of value more than 15,000,000 was bought, and investment on new specialized personnel was made. The undertaking of important projects and METKA's acknowledgement in the demanding area of defence equipment manufacture was the result of those actions. METKA's plants at Volos have ensured considerable work of high added value until 2009, and prospects for the future are very favorable. A. Co-operation with KMW (Krauss Maffey Wegman) continued during 2004, producing 170 Leopard 2-Hel Armoured Vehicles for the Greek Armed Forces. The 125.36 million contract ensures a long-term production at the Volos Factory. A delivery of the first two tank towers was effected timely during 2004. The turnover for 2004 was 0,45 million and is expected to reach 9.4 million in 2005, as a result of stabilized production. In the context of the above Program, a contract has also been signed with Rheinmetall Landsysteme company for the co-production of 12 collecting vehicles of the ARV Leopard 2-Hel. The contract value is 7.94 million. Turnover for 2005 is anticipated at 2.48 million. Finally, in the context of the above Program, a contract has been signed with Rheinmetall Waffe Munition Company for a co-production of 170 armored firearm stands for the Leopard 2-Hel tank. The value of the contract is 2.63 million and turnover for 2005 is anticipated to reach 0.27 million. An innovative and very demanding project for the Greek industry, it is now fully under way. The customer received timely and successfully in 2004 all the parts for the second submarine, as well as two parts for the third submarine. METKA has taken the lead as one of the few potential manufacturers of armoured submarine hulls, putting the company in a promising position for exports in the future. Turnover for 2004 for the above program is valued at  7.35 million. The fabrication of the third submarine's hull will be continued during 2005, and the turnover is foreseen at 1.30 million. A contract has also been signed for an upgrade of the Neptune submarines. The 2004 turnover was 0.7 million. In 2007 the turnover is anticipated to reach 0.69 million and in 2010 0.7 million. Since 1976, Spider is being activated in the area of sub-constructions and defensive material, in collaboration with the Ministry of National Defense and the big Greek defensive industries (such as ELBO,EBO, PYRKAL, etc). giveevidence for the credibility of Spider. On the basis of the experience and the know-how already gained, along with the development of armament programs by the Ministry of National Defense, for the supplying of the Greek Army with Greek products, and for obliging the foreign suppliers to offer compensating avails and self-sufficient consuming materials, the company is expected to increase its activities in this particular area, significantly. The vests are manufactured by 100% Kevlar� fabrics. They are light, comfortable, flexible and provide high level ballistic and fragment protection. The use of Kevlar� and durable fabrics and accessories assure extended wearlife. The vests meet the applicable U.S. and military standards, and are certified by Mellrichstadt. They are available in a variety of ballistic and fragment protection levels, designs with the ability to incorporate additional protection, like fire, weather and I.R. protection. Due to the vertical manufacture, Costas Siamidis sa is able to provide solutions in individual customers' solutions. Panels composed by 100% Kevlar� . Available in different styles and coverage. Protection levels V 50 from 470 m/sec up to 640 m/sec. Kevlar� and durable fabrics and accessories guarantee long wear life. MIL product line includes fabrics and garments (combat uniforms, jackets, trousers, overalls, leisure uniforms, shirts, caps) in monochrome or camouflage with I.R. 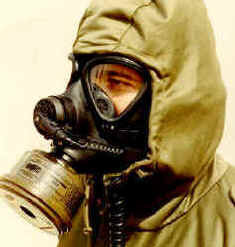 protection suitable for special end- uses, like armed forces, police, public services and industry. MIL fabrics are made from cotton, cotton/ polyester, wool, wool/ polyester, polyamide in several weights, compositions, designs and colours. Particular products of MIL product line are the camouflage fabrics with I.R. protection and polyamide high tenacity fabrics for tents, bags, and soldiers equipment. Valpak S.A. is the leading company in high technology camouflage net systems for southeastern Europe (and not only) from 1987. Since then our company has been the exclusive supplier of the Hellenic Armed Forces, the Cypriot Armed Forces and the Yugoslavian Army. Furthermore, we have provided our camo systems to the Italian Air Force and the Armies of Germany and Switzerland. Recently, VALPAK signed a M.O.U with the government of Malaysia and South Africa for co production of its net systems by local sub suppliers. Type B: The ULCANS camouflage system. Both types are of high technology and provide full protection against visual, infrared, radar and thermal reconnaissance. They are manufactured upon clients' requests and specifications, and are delivered as a complete set which, apart from the camouflage net, includes a full supporting system and a repair kit. Moreover, Valpak manufactures IR Tarpaulins, for all types of military vehicles, providing full cover in the visual and infrared spectrum. This is a new, pioneer product, which is going to replace all the old canvas covers from the military vehicles..
VALPAK participated, very successfully, in the Defendory International 2002 exhibition, which was held in Athens the previous October. During the exhibition the visitors had the chance to meet, by close, VALPAK's products, while the new, technologically improved, IR Tarpaulin vehicles' covers were presented there, as well. VALPAK's camouflage net systems were delivered to the Italian Air Force. These nets, destined to cover airports' installations, have been chosen after emergency negotiations and the selection was based, exclusively, in the quality and the governmental quality control certificates. At the same time, the company is in negotiations with the Italian Army for a relevant supply. The fourth contract with the Yugoslavian Armed Forces, which is materialized jointly with VALPAK's cooperator Mile Dragic Production, is being forwarded. High Technology Camouflage Nets by VALPAK S.A. company will protect the new Leopard 2 HEL tanks to be delivered to the Hellenic Army. The relevant contract that has, already, been signed with KMW, the Leopards' manufacturing company, anticipates the development of a special camouflage system for the specific tank. The camouflage system will constitute part of the Leopard 2 HEL's Greek Added Value (EPA). Since the beginning of its establishment, EADS 3 SIGMA has been focused in the design, development, production and services provision of Unmanned Target Systems. Among the company's clients, one can find a variety of Armed Forces worldwide, as well as several Air Defense companies who have been using our services in several European Firing Ranges. The "Target to be Killed" concept. The two families of target systems (IRIS & PERSEAS), with commonalities in the aerial platforms, the launcher and the airborne and ground electronics, covering the entire subsonic performance, allow for low manufacturing, operational and maintenance costs. "ENIOCHOS" the Ground Control Station (GCS), common for all aerial targets and UAV systems, includes all hardware required for single and multiple in number and type target missions. The whole package can also be installed into a shelter of the client's preference or in a Range Control Building (RCB) or Operations room. The GCS is constructed in such a way to ensure electromagnetic shielding, as well as safety and comfort during operations and is air-conditioned. Two video monitors provide visual contact with the launching area. The GCS is capable of simultaneously operating up to eight drones (four by each GCU), launched simultaneously or with selectable time difference. Targets can be set to totally different patterns on the area map. All parameters can be altered and/or adjusted for each individual Target (altitude, speed, payload activation, way points, etc.) at any point during the mission. Each set of the drone's data, is transmitted through the telemetry airborne package link to the GCS, and continuously displayed in real time through the exciting monitors. The operating modes can vary between auto, semi-auto or manual control. Each mode is independently selected for each and every drone at any stage of the mission. The above features combined with a continuous Background Flight evaluation program, allows for a selectable number of operators. Sea-borne Powered Targets (SEPTAR) are Low, Medium or High speed remotely controlled surface targets. Designed to simulate the threat posed by high speed patrol boats. Three versions of this target are today available with lengths of 5.10m, 7.5m and 9,3m. Cost-effective / high flexibility target system ALKYON for Air Defense Gunnery & MANPAD weapon systems. ALKYON was designed after a market demand for an expendable, cost effective and flexible in configuration target, to fly mainly within Visual Range. Up to now it has shown a great success in Anti Aircraft Gunnery firings as well as in MANPAD Visual Range scenarios (e.g. STINGER BASIC). It's efficiency in Visual Range presentations is supported by the necessary ground equipment such as the Visual Range Tracking Unit. Further to that, BVR Flights are also in its capabilities. Recovery of the target is usually conducted by parachute, however when required, skid pods can be placed under the fuselage for conventional landing. The supreme quality of Air Breathing Threat Representation in the High End Subsonic Region. It's excellent performance in terms of speed, maneuverability and endurance, combined with an unlimited payload integration capability makes it perfect for single or multiple synchronized threat representation, in either single type or multi-type target combination, exceeding any kind of Tactical Training or Testing scenario requirements. Over the past years it has participated as an incoming threat for a variety of Long and Medium Range Air Defense Weapon systems such as PATRIOT, TOR M1, SM1 and NSSM. It's bungee-type launcher does not require any JATO or BOOSTER for Take Off, allowing safe operation from any type of surface platform. IRIS Propeller Medium Subsonic Region target drone. The highest payload capacity at the maximum endurance. IRIS Pusher Propeller Aerial Target operates in the Medium Performance Subsonic Region and it has been designed specifically for high endurance missions and payload integration capability. Over the past years it has represented incoming threats for a variety of Medium and Short Range Air Defense Weapon systems such as OSA AK, TOR M1, SM1 and NSSM. Common platform and avionics, interchangeable propulsion units. The propeller driven member of the Family in the basic performance region. Ideal for prolonged complex or stand alone Tactical Scenarios. Capable of carrying almost any payload, is used to simulate Air Breathing Threat against Air Defense Gunnery and MANPADS (STINGER BASIC, IGLA, STRELA, etc). The single jet powered member of the family in the Medium Performance Region. It's engine physical IR/UV emission along with it's improved flying characteristics makes it a perfect Threat Representation for weapon Systems requiring such a target profile (eg. STINGER RMP, STINGER BLOCK 1, LeFlaSys, etc). The twin Jet driven member of the family in the Medium to High Performance Spectrum, does everything faster, maneuvers in extremely sharp way and can carry more weight. Multiple flight scenarios makes it the most cost effective and realistic tactical Air Breathing Threat for a variety of weapon systems such as OSA AK, NSSM, SM1, TOR M1, etc. The NEARCHOS UAV is a high payload capacity, medium range and endurance, multi-role system. It has been used over the past few years as a research platform for a variety of projects. More specifically through a close collaboration with the Technical University of Crete (TUC), the National Technical University of Athens (NTUA), and other research organizations, NEARCHOS UAV SYSTEM is being used for the development of a Collision Avoidance as well as for a Fire Detection System for UAVs. Both promising programs are currently funded by the General Secretariat of Research and Technology (GSRT) under the Ministry of Development of Greece.